Among all the assignments you need to write in your college, writing a dissertation is the largest, hardest and most time-consuming task. Besides, usually students have to write it while doing other college assignments, which require the same energy, time and skills. One should be Julius Caesar to manage to do a variety of such all-embracing works in the shortest time limits and with the highest quality. This is where your best savior will be the dissertation writing services like Papersmaster. Just give us all of your specifications and our experienced authors will prepare your paper as soon as possible and at an affordable price. In general, you will spend less money on it, than you would spend time writing it. Get the most of our dissertation writing service at once! Here are our expertized writers with the professional backgrounds and different levels to help you with writing the dissertation on any topic. The dissertation you receive is done according to all the requirements given in colleges. You specify the details to include and the formating features to follow in your work and one of our authors will take all of them into account. You can select any writer you want to work on your dissertation writing. We have a number of writers who are the masters in a specific field and on a specific topic. So that by choosing any of them you can be sure that he/she is knowledgeable about the nuances of your subject and has the necessary skills to perform the paper as well as it should be done. Once worked with a writer, you have a right to work with him/her again on regular basis if you were satisfied with the work done for you previously. Our dissertation writing assistance is just between you and us! 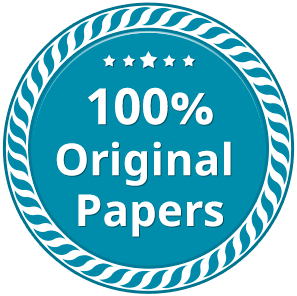 Once delivered by our writing dissertation service, your paper can be approved in your personal client area or sent for a revision. You have your first three revisions in a row for free, so that be attentive not to approved the paper you receive at once. If you do it, it won’t be possible to have free of charge revisions. We understand that you may be afraid that someone will know that you’re not the author and asked somebody for writing your dissertation. Just in vain. We won’t let anyone know about it. It’s too confidential to be open for the third parties, namely your professors, parents or friends unless you tell them about it yourself. Place your order with all the specifications right away and focus on your lifetime tasks while our writer is writing the dissertation for you!